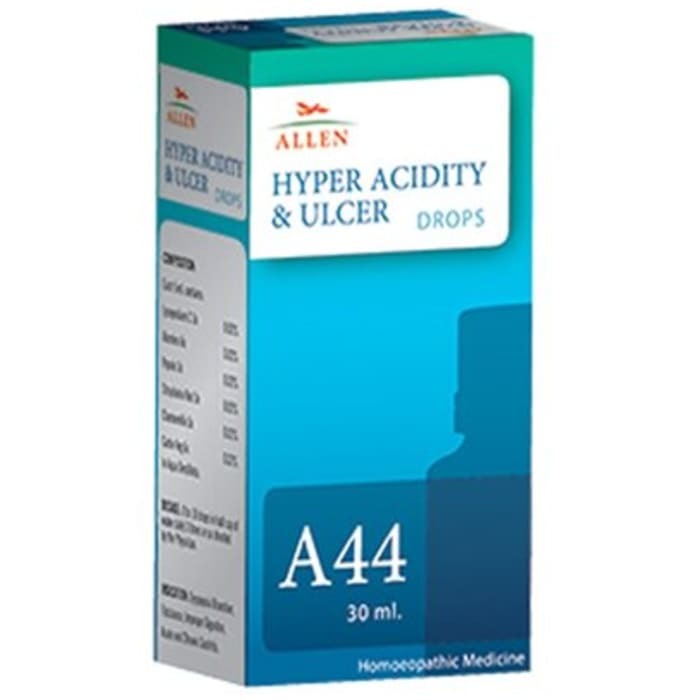 Allen A44 Hyper Acidity and Ulcer Drop helps in treating dyspepsia, ulceration, acidity, indigestion and gastric problems. Unit-II, Survey No. 1356, Nandigaon (V), Kothur (M) Mahaboobnagar Dist. 509223. Telangana, India. A licensed pharmacy from your nearest location will deliver Allen A44 Hyper Acidity & Ulcer Drop. Once the pharmacy accepts your order, the details of the pharmacy will be shared with you. Acceptance of your order is based on the validity of your prescription and the availability of this medicine.